Guys, Mango season is yet to end. 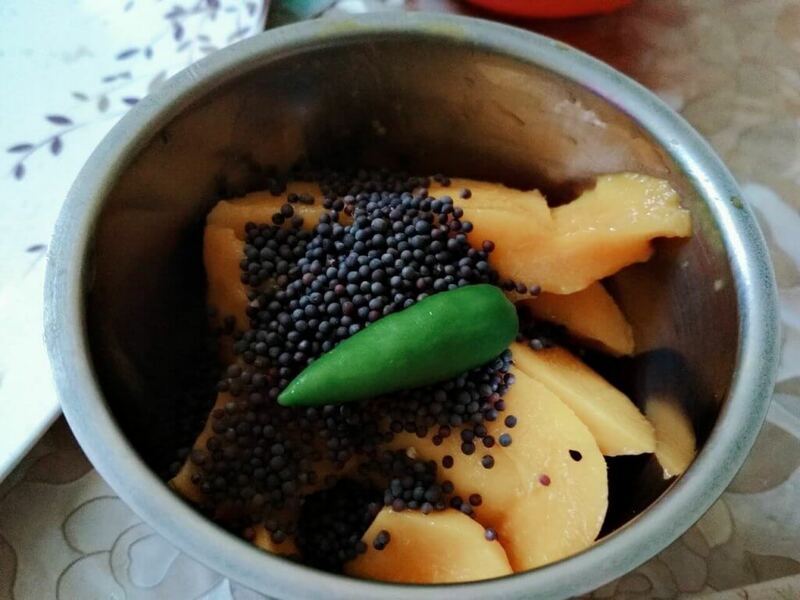 I have already shared lots of Mango recipes in this website. Today I am going to show you the easiest mango recipe to have as dipping sauce that can be a companion with any types of dishes where you want to use chutney including Snacks, Idli, Vada, Fries, Pakoras, late night snacks, chicken tenders etc. This is an easy recipe for which you just need a blender. It is totally unexpected because you can’t think mango as dipping sauce. So, first take all the ingredients at a time. Here, I used Yellow Mustard instead of Dijon Mustard or Kasundi. Also, I don’t have any chilli flakes in my home. So, I use fresh green chili in this sauce. Take a whole Mango, peeled the mango and cut into slices. Remove the seed. I used Chowsa mango from Bengal which is really very sweet that I did not need to add any sugar in the sauce. Now, I took a blender and add mango slices, 3 Tbsp of Yellow Mustard, pinch of Salt, 1 Tbsp lemon juice and 1 green chili. Blend it in a smooth paste. Remove the blended mango mixture from the blender and place it in a bowl. Now, I taste the mixture to check the salt and sugar. I added little more salt as I thought it will add proper taste into it. Now, add ¼ Cup of Mayonnaise and mix it with the mango mixture. 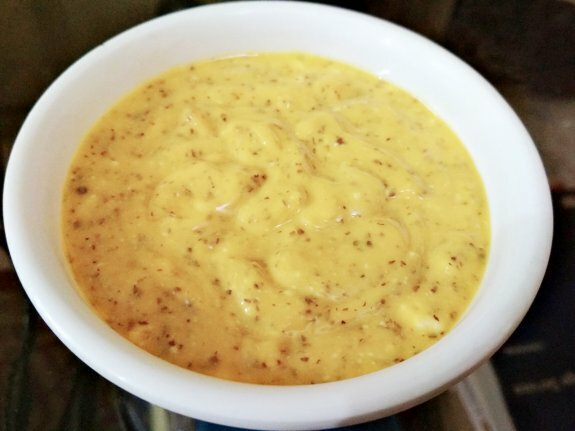 So, my Mango Mustard Dip Sauce is ready to serve. 1. Take all the ingredients in a blender except mayonnaise. 2. Blend everything till combined. 3. 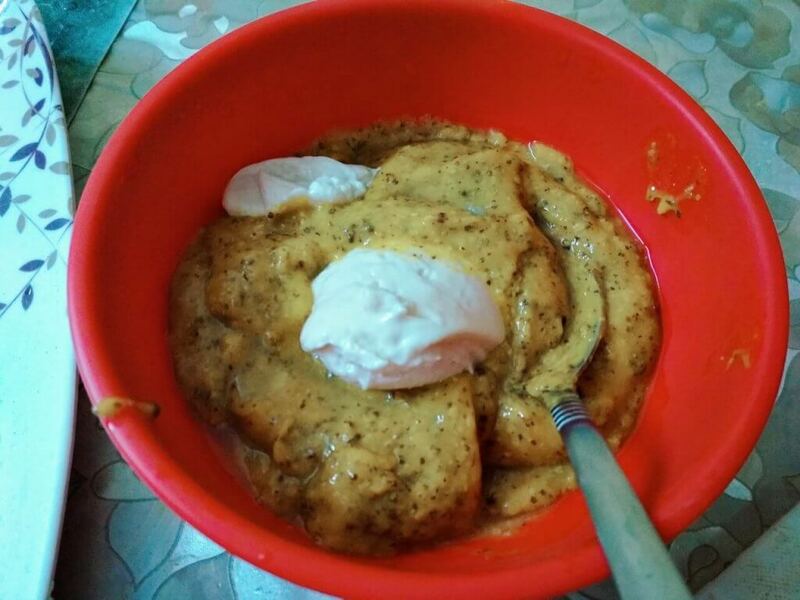 Take it in a bowl and add mayonnaise and mix it again with mango mixture. Serve this with any snacks, chips, chicken wings or chicken pakora, fries or crackers.